Teams Guest User Access - Invite methods and process. 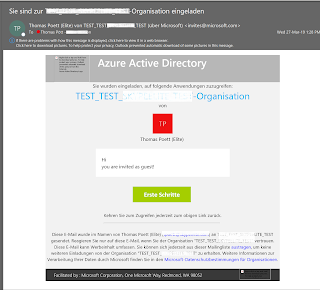 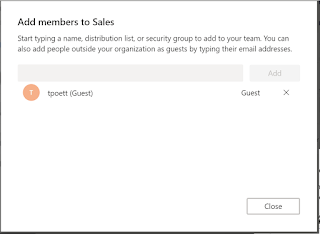 Teams Guest User are member of a Office 365 modern group. 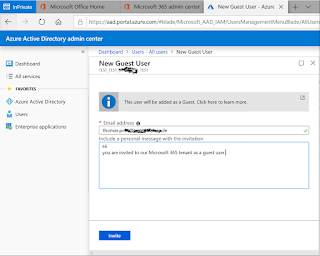 There are two ways managing guest access. 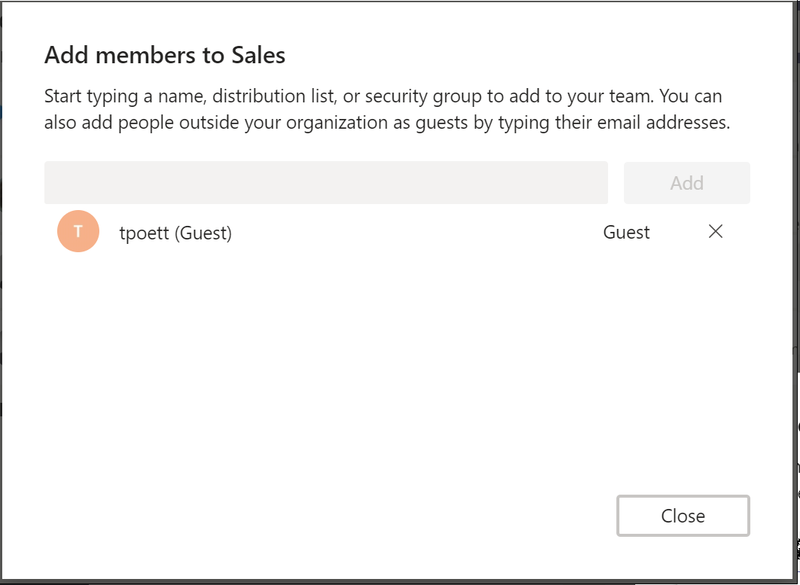 You cannot managed, add guest users from within Office 365 groups, if the user isnt added as a guest user in Azure AD. 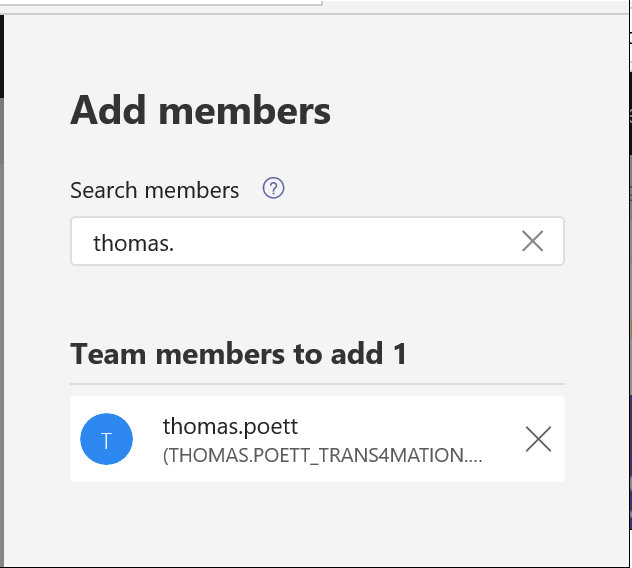 Upon the user is added, you will see this user as member in you Team. 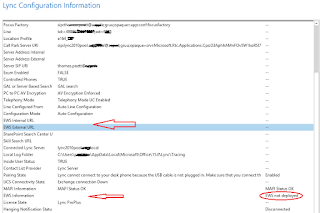 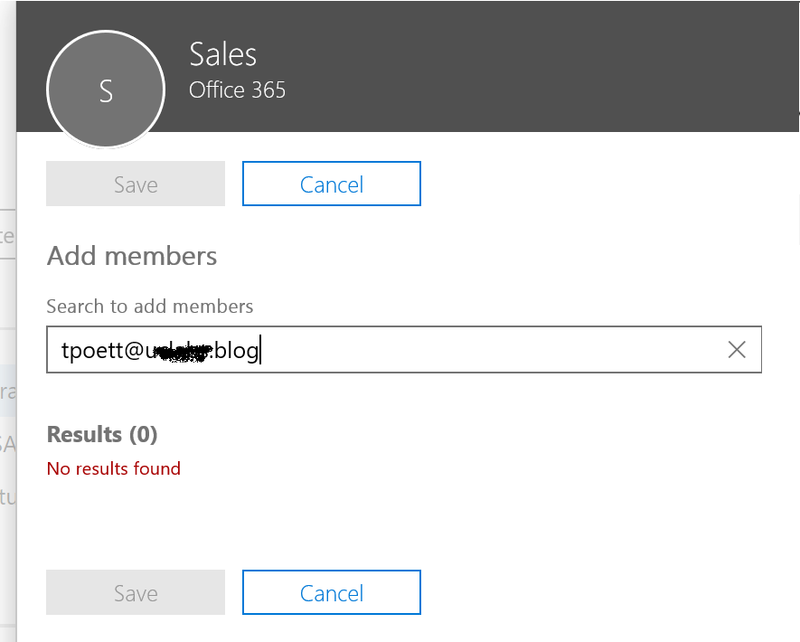 If you try managing a guest user / adding him/her via Office 365 Groups from you Admin Center, you will see that adding external user isn't possible. 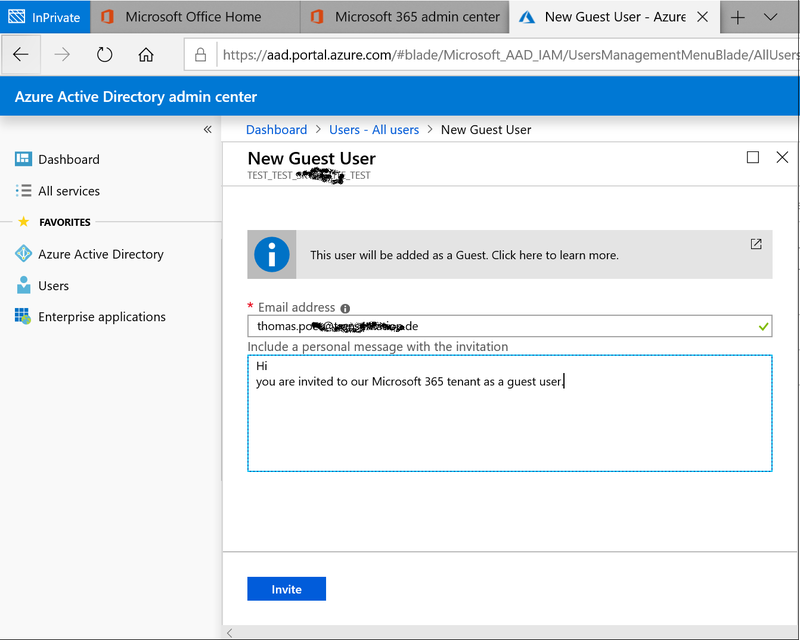 The user is shown as "Not Found"
Go to https://aad.portal.azure.com and navigate to user, form there start adding the external guest user. Once the user is added into you AAD, you can start adding the user either to Office 365 Groups or if he shall be a member of Team, you can do so with in the Teams Admin Portal. 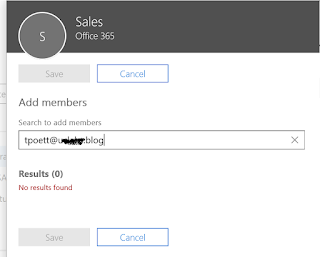 The user start appearing while you initiate a search. 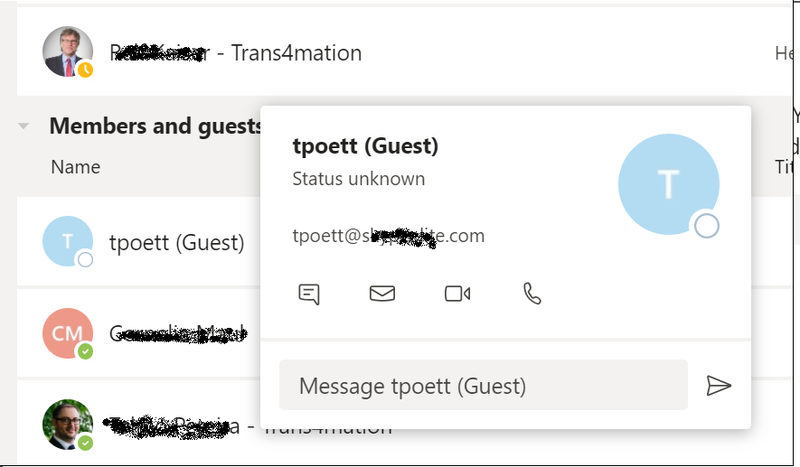 Directly after you added a user into AAD, an automated email will be send to him, informing him/her that he is now part as guest in this tenant. 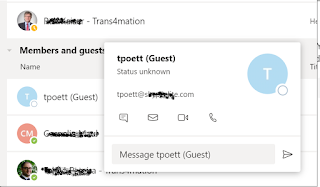 The user will be now able to verify his/her Applications access with in Microsoft 365. 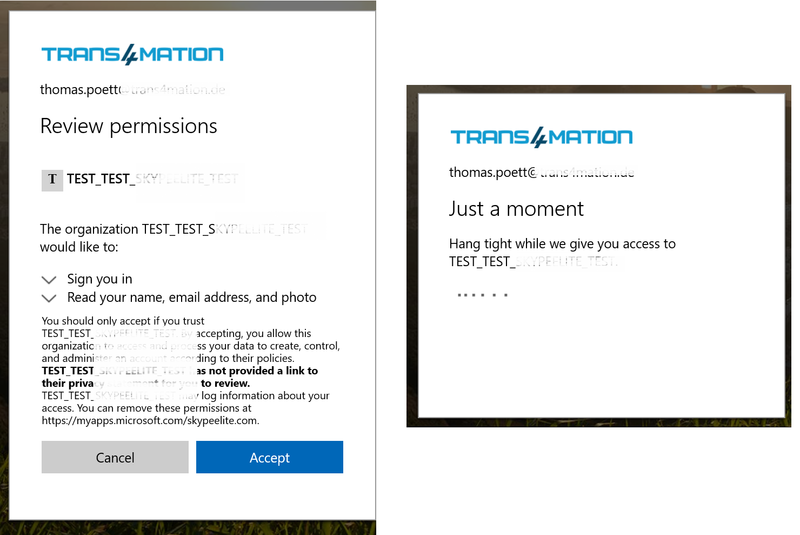 At next he can see, that access to SharePoint, e.g. 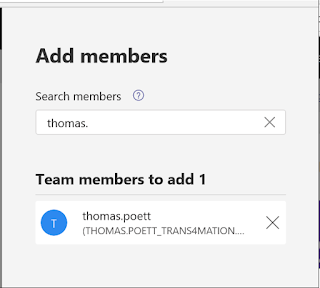 Teams is granted. 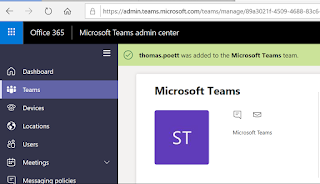 Teams appears only, if the user was additionally added into the Microsoft Teams Team. 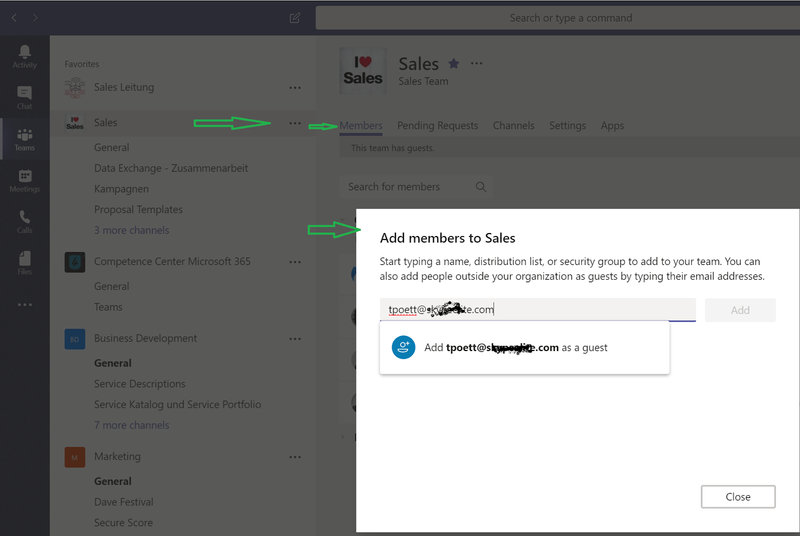 Further, this user can be managed from Microsoft Teams. I hope this guide has in deep explained how you managed guest users from ADD and Teams.